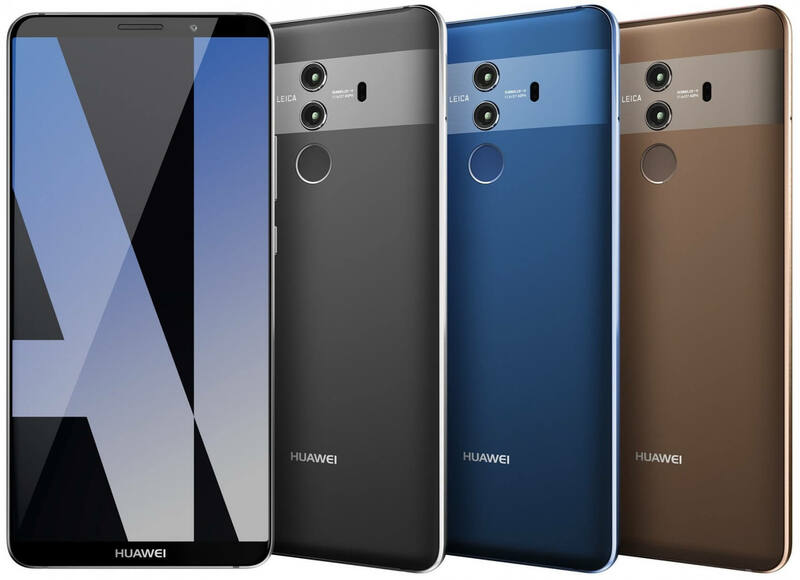 Not content with replacing Apple as the world’s second-largest smartphone company, Huawei took a jab at the Cupertino firm last month with ads for the Mate 10, which it calls the “real AI phone.” In addition to the standard version of the upcoming flagship, Lite and Pro models will also be released later this month. Thanks to prolific leaker Evan Blass, new images of the latter device have hit the web. Unlike the other two versions, it seems the Mate 10 Pro will be another flagship smartphone to feature a minimum-bezel design. It measures 5.99 inches and uses the same 2880 x 1440 resolution and 18:9 aspect ratio found in LG’s V30. The device also comes with the Huawei name emblazoned across the bottom. Photography fans will likely appreciate the 12- and 20-megapixel dual Leica-branded camera setup on the back, which features at least one f/1.6 lens. There’s also a 8-megapixel front-facing snapper. Another difference in the Pro model is the wide, shaded band across the rear. Previous reports from Blass say the handset will come with a 4,000mAh battery, 6GB of RAM, 64 or 128GB of storage, and the company's new Kirin 970 processor, which is built on the 10nm process and is said to focus on security and AI. The handsets will reportedly include a function similar to Samsung’s DeX — a feature that turns the Galaxy S8 and Note 8 into a PC-like experience through the Dex Station dock. But unlike Samsung’s system, the version in the Mate 10 could work with all existing docks. Huawei is expected to unveil its Mate 10 handsets on October 16.